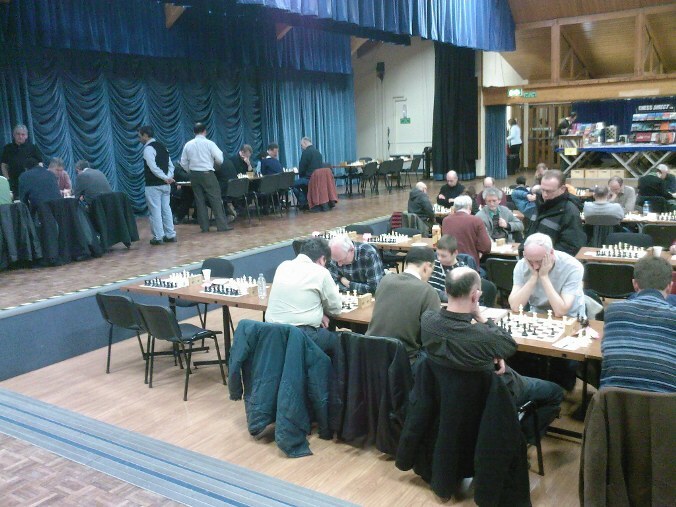 For the first time in over ten years, I entered a chess tournament this weekend. I used to play a variety of competitions, quickplays and club matches. As the tournament was taking place locally, I thought it was worth a go. Round Five: Black against player graded 145. In an effort to make something happen in the game I played a move which was technically unsound, but my opponent spent about 40 minutes over his reply. He was then winning, but in terrible time trouble. In the end, he was unable to capitalise on his advantage due to shortage of time and we ended up with a Draw. Final score 2 out of 5. On balance I’m reasonably happy with the result. The only game I lost was to someone who went on to come 3rd overall in the competition scoring 4 out of 5, so I can perhaps be forgiven that. I had chances to win all of my drawn games, but equally I could have lost at least two of them. It would have been nice to win at least one, but at least I didn’t make a complete fool of myself. Edit: Just calculated that my grading for the tournament, based on these four games, is 131. My last posted grade was 142 in 1997/8. Adam: There were, according to the organisers, a record number of withdrawals this year. This is likely due to the weather, as you say. However, there were also, apparently, a record number of entries on the day, which made up for it slightly. Very approximately, I think there were about 20 or so in the U-225 section, about 60 in each of the U-170 and U-125 sections. Adam: Just had a note from Tom Williams (Treasurer for this event): he says the numbers were 24, 47 and 69 for the U225/170/125 sections respectively. Twenty-seven withdrawals in the last 24 hours, but thirty-four entries on the day. very respectable figures! I remember that several times they had to turn away late entries due to having no more space left in the hall!